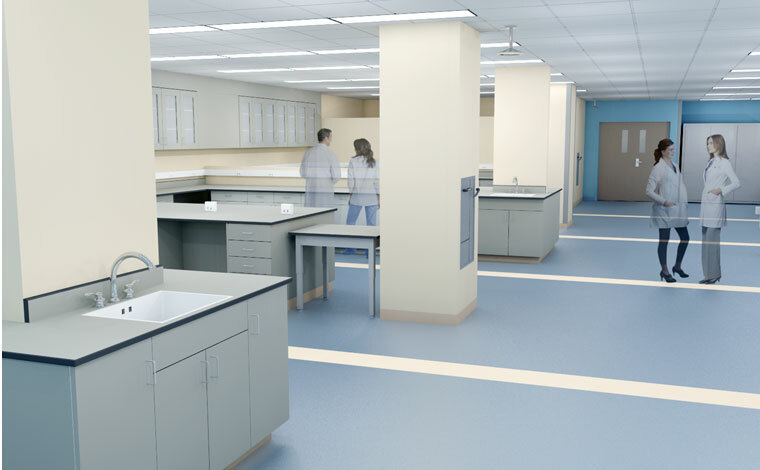 This laboratory department renovation includes the complete redesign of Phlebotomy, Core Blood Testing lab, Histology, Cytology, Microbiology, and administration areas using “Lean” process flows. 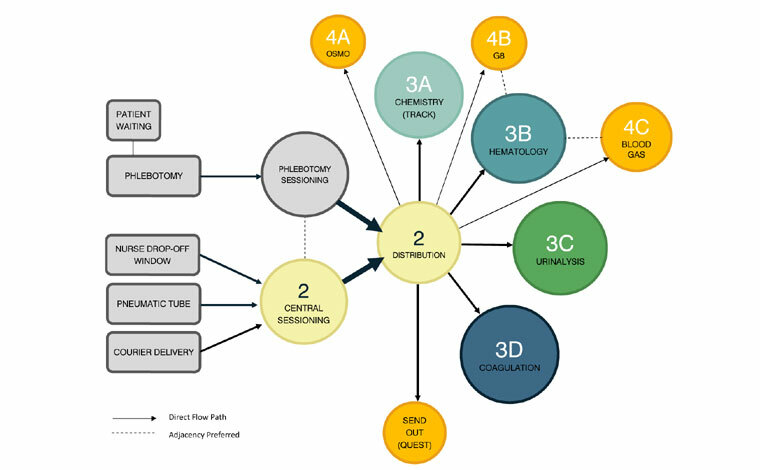 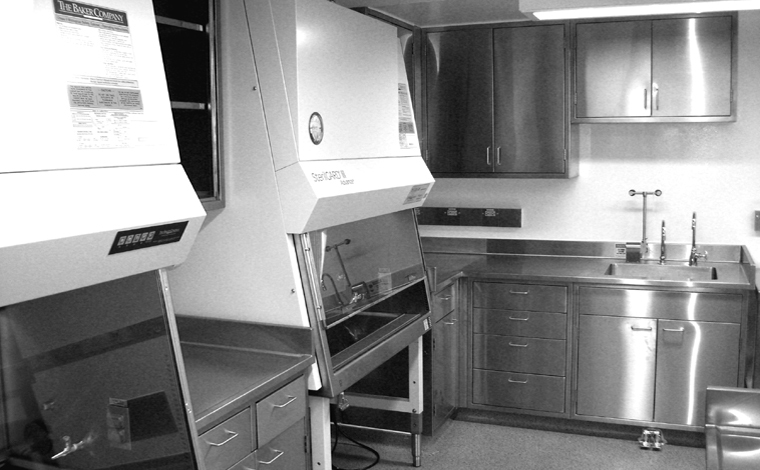 User meetings consisted primarily of reviewing the flow of specimens through the lab. 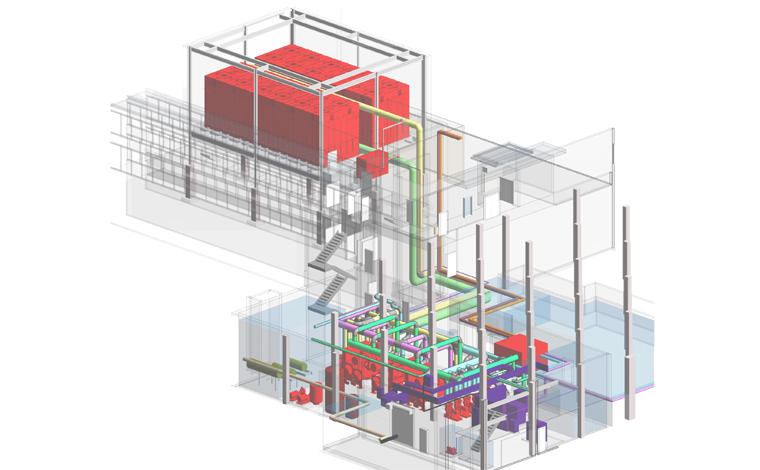 In identifying these processes we were able to propose a new plan that streamlines the process and minimizes travel distances and handoff errors. 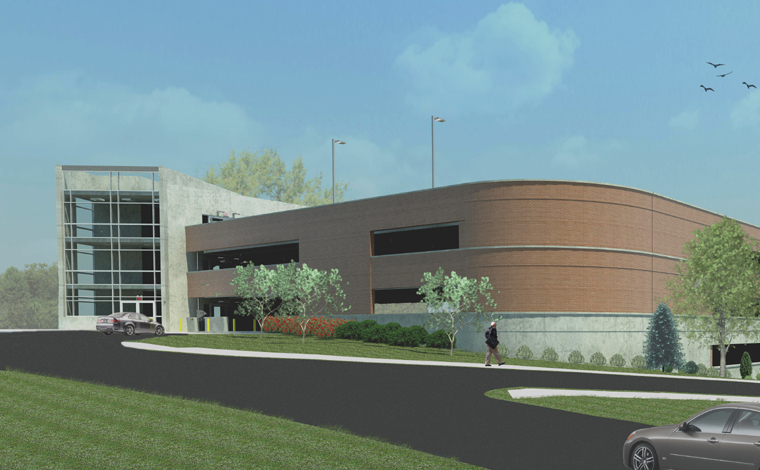 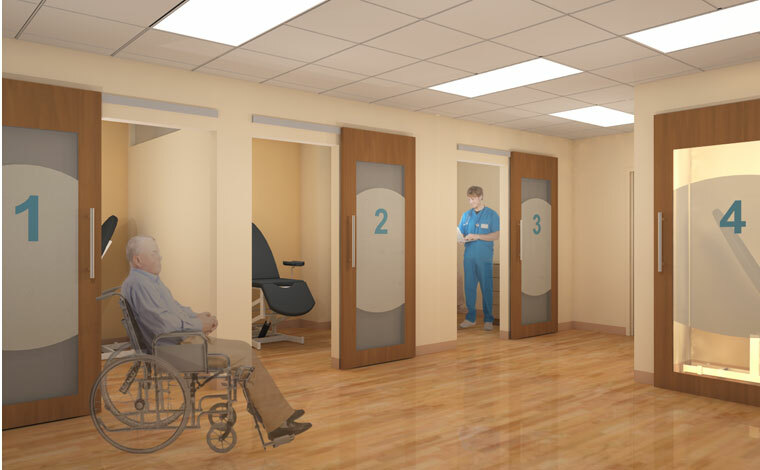 The new plan features direct adjacency between phlebotomy and accessioning, a more clean lab arrangement, and accommodates new StreamLab automated testing equipment. 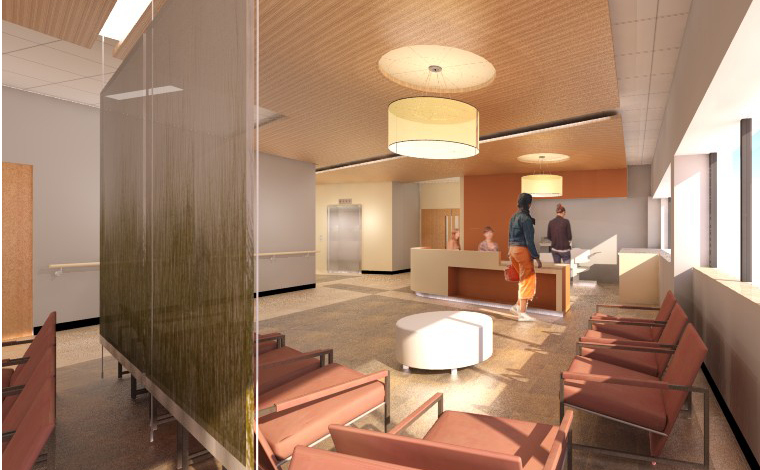 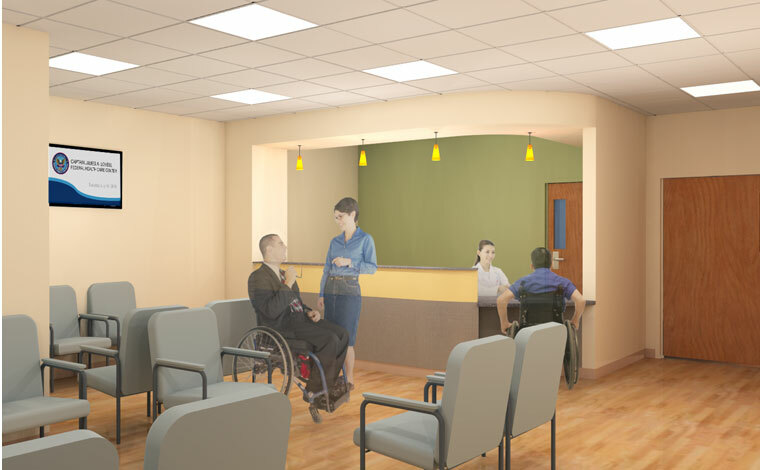 Public areas such as waiting and blood draw were also upgraded for patient privacy and comfort.